What is #TNG2013 all About? Well this may not make much sense to you but, this is a Blog afterall. It’s not so much for you as it is for me – at times anyways. So this is just for all who are following and keeping track; BIG things are on their way. A new ‘approach’ to our blog is coming and I’m very Excited about that. 1mlmsystem has Launched – VERY excited about that. I got some good advice on perhaps letting people get ‘registered’ with ease. I know coding, so a simple decision was made to limit what people have access to on the inside of the members area, based on what level of commitment they make to our team. It has been a ‘slow buy in’ for members of 1mlmsystem. I think most signed up for the same reasons people join MLM companies – they think it’s going to give them instant success. They share it with a total of 5 people and after they get rejected by all 5; they give up. They bounce to something else. And since this is a common issue within MLM, I do not take it personally when people do this after signing up with 1mlmsystem. These people are simply always going to do this – no matter what they join; and who they join with. That being said – 1mlmsystem is working it’s way into being THE absolute SYSTEM that all others will attempt to copy (and fail at copying) – because they’re not being put together with a real genuine interest in The people. Not bragging, but since no one else is here to tell you this (at this present time) – someone else, (in this instance me) had to do it. Lastly … the Pay It Forward Crazygood System is a great way to TEST out what to do when we ROLL into the next phase of 1mlmsystem ::: and I’m so excited about that. 1mlmsystem is our Training Vehicle to create Professional network marketers (that earn professional money). Spillover is a ‘term’ that is related to Forced Matrix Compensation plans. If you are involved with the Network Marketing industry, you need to make it your business to know as much about our industry as you can. If the term Spillover is new to you, then I will do my best to explain it now. There are all sorts of Compensation Plans. Most can be defined as Unilevel, Binary, or Forced Matrix. Spillover generally applies to Binary and Forced Matrix Compensation Plans. With a “bi”nary you’re only given 2 spots, on your frontline (first level) – so if you’re a master recruiter, and you can sponsor 10 people into something your self… 2 of those 10 will be on your first level, the other 8 will “spillover” and “spill under” your frontline 2. If those 2 people sponsor 10 each, those 10 will most likely spillover, and spill under the people You helped put Under them. In a “Forced Matrix” – the compensation is usually defined; Some limit your front level to 3 spots, some to 5; Then there is a Limit on Depth, which nearly all compensation plans have. In a 3×8 matrix, or a 5×15 matrix, once again the person who can put in 10, will create spillover for the people working with them. This is what makes these types of compensation plans very attractive, especially to struggling marketers in our industry. Most people struggle because they are inconsistent, or use ineffective methods to build. Most would cut their learning curve in half, by watching videos by Expert recruiters, and then, simply Doing what those Experts suggest, rather than doing what most struggling networkers do, and that’s attempt to re-invent the wheel. The Wheel has already been Invented! So let’s talk pros and cons – because all business, all compensation plans, all industries, have pros and cons. Nothing is perfect in an imperfect society, full of imperfect human beings – so this is the most glaring ‘con’ involved with Forced Matrixes. They attract people looking for Spillover, who hope to get a position, sit there, do nothing, pay their money, and then EARN from the efforts of those above them. Could happen – sometimes it does. But, to sustain the growth, at some point, even That person NEEDS to help out, and sponsor people – and GIVE to others, what has been GIVEN To them. I wish I could take credit for that one, but, I got this idea from ThatFreeThing – this is one of the newer companies hat has a forced matrix, and you can get some good spillover, due to all the buzz and momentum. But do you want to pay $25 to enroll, and $10/mo after that, just to wait on people to fall under you? Or, wouldn’t it make More sense to learn HOW to find others to join with you? Of course it would. That’s a no brainer. So what generally STOPS people from referring others effectively? There is really SO much here. There is the Fear of Rejection, as well as the Fear of Success. These are real, psychological issues that people deal with, when they join the world of selling, sales, network marketing, marketing, advertising, etc…. there is a real fear of being not only rejected on the business, but being outcast from their ‘network of friends’ – de-valued by them, or even made fun of by those people. Often, people regard the Opinions of others, whom they should not; They buy the opinions of people who’s lifestyles are not what they want for themselves. When you buy someone’s Opinion – you buy their lifestyle. Then there is fear of success, a whole other monster – where people are actually afraid of what might happen, if they got to Live their Dreams. Many people are indeed, afraid of their own greatness. Many people are afraid of becoming who they’ve always viewed themselves as, because they associate problems, challenges, and other obstacles with becoming the very BEST they could be. So these are two very REAL Factors that people deal with. This is why we HIGHLY Recommend using Personal Growth and Development Products. Books, Tapes, and Videos, to help change the thoughts in your mind. This is a stumbling block for all struggling marketers; they simply are not working hard enough on themselves. Work harder on yourself, than you work on your business, and your business will take care of itself. You may even want to Review our Personal Development Program, which will Pay you to become better, and plug into our Trainings that will also challenge how you think today, so that you can THINK AND GROW RICH in your life, and especially in your business. If you will do more than just WAIT for spillover, something very SPECIAL can and will happen for you and the people you are working with. If your Sponsor is working to bring others on, and You are too, together BOTH of you will CREATE spillover for YOUR downlines. Then, if you can find 2-3 people in your downlines, who will work with YOU and your Upline, to bring in people, to do what works, to use effective, time tested & proven methods to recruit others into an opportunity … you will create even MORE Spillover for your ENTIRE team. So the real truth about Spillover is this. It’s good to have, but you cannot rely on it alone, to make decent income; Instead, it should be used as an added bonus, to help GROW a solid income, along with others, who are willing to do the same. Here are a few more Companies I recommend, all with Forced Matrix Compensation Plans, where YOU could indeed get Spillover just from working with me, and my Top Networkers. 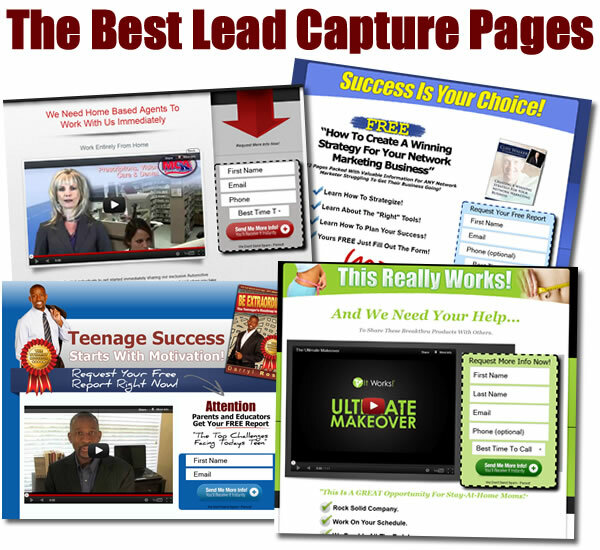 BUT – to really make money with any of these, PLUG into the trainings I hold for my teams – so you can learn METHODS that work – to Create SPILLOVER for your self! So …. What is the Process? If you are part of a good network marketing company, if you are working with good leaders, then by now – you should already know what the process is. “The Enrolling Process” is always the same, no matter what company you are enrolling people into. It never changes, regardless of the product, or service you are offering. It’s important to note however, that getting customers and growing an organization are two different things! If you’re in a company, that doesn’t teach you how to get customers, you may want to consider working with another team within that company, or another company all together; usually customer ‘acquisition’ varies from company to company. Building an Organization however, is always the same. Always … and what I found, when I left network marketing, and went into web design, is that this process is the same for growing a business. Last thing I’ll say before I get into this is … when you Lead with your business, you can always ‘fall back’ with customer acquisition; if someone doesn’t want to make money selling your product, then perhaps, they’d be interested in trying, and eventually buying your product. Then of course, you can always turn those customers into business partners later – once they themselves, experience how good the product (or service) is. So, what is the process ….? Recruiting, is a “SORTING PROCESS” – at all times, you are sorting. Even after people sign up, you are still Sorting. Sorting and Selling are two different things. Selling means, talking people into stuff, convincing …. Sorting, is much different. Sorting is, you tell people what they need to do – the ones who do it, are the ones you want to work with – the ones who don’t, are the ones you Don’t Want To Work with. SORTING is the overall, governing law, that oversees the entire Enrollment Process – of building and growing an organization of business partners. 1. Approach and Picque Interest. 2. Expose or Present the Information. 3. Close, help them Make a Decision. 4. Training, the last, and most important part of this Process; Training is ongoing…. Training is a “process” in and of itself, through which YOU will Sort your Organization. If you have business partners who Decide (step 3) to join your company, who pay their money, but do not attend Training; These partners have SORTED Themselves – they’ve shown you that they are NOT the ones you want to work with. It’s important to say, that if you do not plan to attend training, to get training, to continue getting trained, keep your money. Save your time. The process is very simple and yet, people mess it up, all the time. They say too much, too soon; they skip step 1 all together, and get right into step 2 … then they even attempt to do steps 3, and 4 – even though the person has not Decided to sign up! That being said, if people do not know how to Recruit, how are they EVER going to but in LOTS of team members for most companies?? Usually, it’s a simple process of “duplication” – but if you are working with people who do not know how to enroll others, OR if you’re simply not attending training to learn how to do it, you won’t duplicate success! Again, much of this YOU should be learning in Training. IF you are not getting this kind of information, you are always welcome to work with the Top Networkers Group – we train people to become Professional Network Marketers. Professionals, make Professional Money. Thanks for reading – for a more detailed training on this topic, JOIN TBA – our product is “personal growth, and self improvement” – and our team will provide you with In Depth training, to build this, and any Network Marketing organization! Is BlowYourWallet.com For You? Does it really Pay? The answer is Yes; and the REASON is very simple; Folks this is nothing more than an awesome advertising and networking platform; an additional stream of income; it works because the principle of a 3×9 matrix will always work; If everyone finds just 3 people; to partner with them in this opportunity; they Can indeed earn Income; Especially when you add in Bonus money, as Incentive to get Top Producers, to really Produce. Incentive means, that if You meet the Minimum of finding 3 people, to fill your FRONT Line; there is the “opportunity” for you to recieve Spillover, when Working with Top Producers, who are Working for the Maximums; That being said – if you are Serious about making MONEY with anything, the Minimums should never be YOUR Maximums! In other words; You would have every intent of coming into This opportunity, looking to sponsor MORE than just 3 people. BlowYourWallet.com is an interesting opportunity as you can see. The Comp Plan is all built around Advertising; Place your Advertising Banner and your Text Links throughout THIS website :: and get your business Exposed to others; As we teach through this blog it’s ALL of it – it’s the attraction marketing, with the old school approach, which is more direct – but it’s BRIEF – and that is ONE thing that most people struggle to learn with those Old School approaches, and then they Repeat the same Mistakes with their New School, Online approaches. That Common Mistake “Saying TOO MUCH” …. If you want ‘training’ on how to Properly Approach people, online or offline – be sure to sign up with the TopNetworkersGroup – as we Teach you HOW to do this like a Professional; so that finding 3 people, for ANY opportunity is not a big challenge to you; and your focus can be where it SHOULD be – on recruiting as many people as you possibly Can, into every Opportunity you’re taking advantage of. That my friends is the real SECRET to the Law of Attraction; that you will attract To you, people that are LIKE You; if you are Lazy, unwilling to work; you will attract others who are lazy, unwilling to work; and you will not be able to build a Business with people like that; Right? Truth is – most lazy people are not reading this information now – so here’s to YOU and your Journey – you will reach your destination soon! 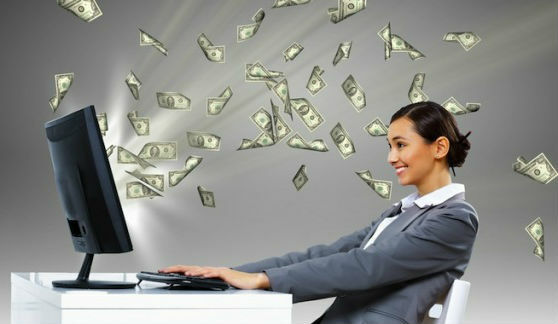 I HOPE this opportunity with BlowYourWallet.com is able to Aide you as you make your way to your Success! !